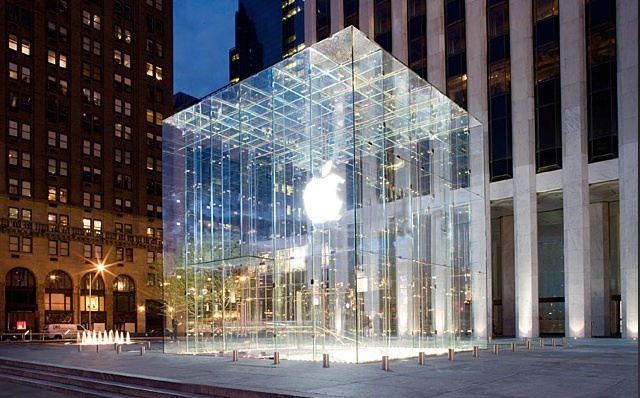 On Thursday, Apple's retail stores turn 10 years old. Over the last few days there have been muted rumblings across the Internet that Apple could have a bit of a surprise for retail store customers this weekend to help celebrate the occasion. Take for example, BGR.com is reporting that they have received a tip "from a solid Apple source" that Apple will be doing "something this weekend." While I was really looking forward to a *cough*sickdayofffromworktomorrow*cough* it looks like Apple will be running their special event on Sunday, May 22. To help prepare for the event, Apple is allegedly bringing in staff overnight to setup for Sunday morning. Adding to the aura surrounding Sunday's event, Apple employees will be putting up black curtains over the class windows and doors to the retail stores, are being required to sign NDAs, and to have their cell phones locked in a secured location during the setup. BGR also reports that, "[t]here are a wide variety of roles, we’re told, for the overnight shift. This includes all visuals staff, a manager, a business team member, a few Genius team members, one back-of-house employee, and a few generic Apple specialists." Ok, so, I'm already making plans to trek down to the nearest Apple Store on Sunday morning. The nearest stores are 45-60 minutes away by car. With all the secrecy around the event rumored to be planned for Sunday, it sounds like Apple has more up their sleeves than iTunes gift card or iPod nano case give aways. But what is it? Will Apple finally bring their new massive North Carolina data center online to support iCloud? Will iTunes finally go streaming subscription based? New Mac hardware refresh? We'll have to wait a few more days to find out.